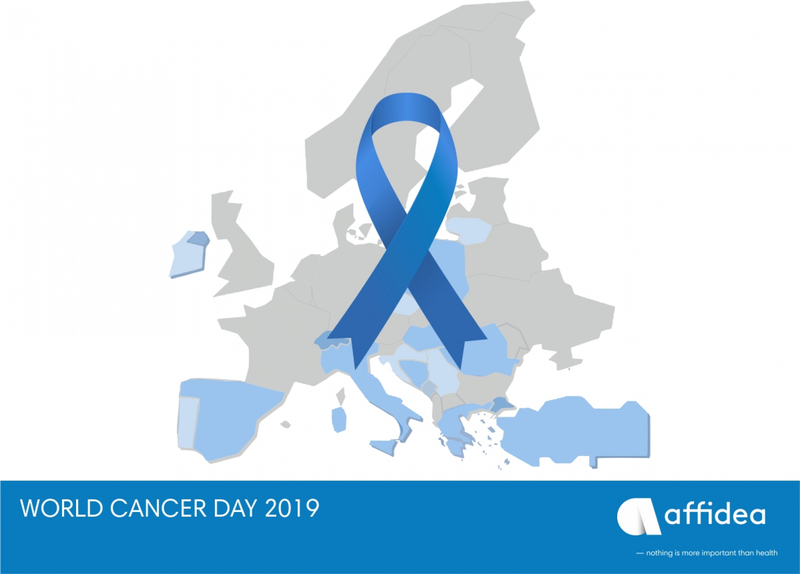 Affidea, the leading European provider of advanced diagnostic imaging, outpatient and cancer care services, announces, on World Cancer Day, its plans to expand its cancer care network, developing its European footprint to increase access to high quality oncological treatment and diagnostic imaging services. Across Europe, the incidence of cancer is increasing, leading to a rising demand in the need for high-quality cancer care. One in 5 men and one in 6 women worldwide develop cancer during their lifetime, and one in 8 men and one in 11 women die from the disease. In 2018, in Europe there were over 4 million new cases of cancer, and the figure is expected to rise by nearly a quarter to 5.2 million by 2040. 60% of all oncological patients need radiotherapy, while only 10% have access. This growing demand will put considerable pressure on healthcare systems and the cancer workforce and reinforces the need to ensure timely and efficient care for patients across the continent. Leveraging on its already existing experience, Affidea appointed Marijan Bilić, General Manager of Balkans Region of Affidea, as Project Leader on Cancer Care to drive forward the excellence in oncology across Europe, building a state of the art cancer care network across Affidea's geographies. This will offer patients an integrated medical approach to cancer care through state of the art diagnostic imaging and proven high quality oncological treatment. Marijan Bilić, Project Leader Cancer Care, stated: "We are in a unique position in that we already have an outstanding cancer care presence across our network. We have developed an outstanding RT and PET-CT network in both CEE and WE countries and we already have a number of centres of excellence in oncology across Europe, including in Bosnia – Banja Luka centre, Romania – Fundeni centre in Bucharest and Italy – IRMET centre in Torino. Affidea Cancer Care Centre Banja Luka was recognized as Varian Centre of Excellence, while IRMET centre is one of the largest centres in cancer care in Southern Europe. By drawing on our substantial knowledge and expertise, we will expand our cancer care presence in Europe, in our existing geographies, but also looking across Europe where the demand is increasing. We want to ensure timely and efficient cancer care across healthcare systems and in the same time to positively impact the lives of every person touched by cancer". Chief Executive Officer, Giuseppe Recchi, added: "With this year’s World Cancer Day focusing on the power of individual action taken now to impact the future, Affidea is uniquely positioned to help realize the potential of AI and big data in the benefit of cancer patients and their doctors. Our vision is to become the premier digital healthcare provider with the most extensive network of medical centres powered by AI. We want to work collaboratively with our partners across the healthcare industry, from national health services to the pharmaceutical industry, helping to develop the very best clinical solutions for oncological patients all over Europe. We believe our vision, our model, and our experienced teams across 16 countries offer us the unique position to significantly improve cancer care delivery at a time when patients need it most. The synergy between oncological treatment and diagnostic imaging is a core part of Affidea's approach to delivering the highest-quality care to all of our patients."